Bad credit can make life difficult if you need a loan. Having bad credit might not be your fault, but it still makes loan providers wary of lending to you. Personal unsecured loans, which are the fastest and easiest type of borrowing, might not be open to your credit score but there are other ways to access money if you need it in an emergency, to cover temporary cash flow issues or to pay for a large purchase. Here are 7 of the best types of loans to turn to if you have bad credit. A HELOC or home equity line of credit can give you relatively large loan amounts for cheaper rates than you would otherwise be able to access. Bear in mind, though, that if you can't pay your repayments for any reason then your home will be at risk of repossession and you could be left homeless. A HELOC provides a flexible line of credit that you can draw on whenever you need to up to the maximum credit amount, rather like a credit card. You'll only pay interest on the amount you withdraw, and interest rates are lower than credit cards, but your bank could cancel the credit line if you don't use it within a certain period of time. To get a HELOC you’ll usually need a loan-to-value ratio of no more than 80%. This means that you own 20% or more of your home’s value. Even if you have a large mortgage on your home already, housing prices could have gone up and made your stake bigger than it was to begin with, so you could still be eligible. Some of the best personal loan companies will still lend to borrowers with bad credit. Lenders such as OneMain Financial are open to applications from customers with no minimum credit score and will lend to those with credit well south of 600. Bad credit loans are usually unsecured so that you won't be risking your house or car as collateral, but the interest rates are higher to make up for your poor credit score. While there are reputable lenders for bad credit such as OneMain Financial and 5KFunds , there are also predatory lenders who charge exorbitant APR rates and a huge amount in additional fees. Make sure to compare interest rates as well as closing fees, origination fees, and early repayment charges before you choose a lender. Peer-to-peer lending websites are a newer type of loan option where you borrow from individuals rather than from financial institutions. 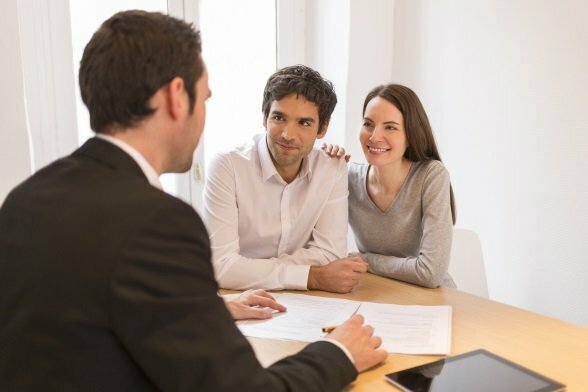 This gives you the opportunity to explain why you have poor credit, which could up your standing in the eyes of potential lenders. Peer to peer lending websites like Prosper and LendingClub match borrowers with lenders who bid to fulfill the loan, thus bringing down interest rates through natural competition. Because there are so many potential lenders, you are more likely to find someone who is willing to fund your loan. Prosper also offers the possibility of borrowing from more than one lender at once. This spreads the risk across more individuals and increases the chances that they will be willing to lend to you. Unlike a bank, a credit union is a non-profit organization made up of members who usually live in the same district or work in the same profession. Gaining membership to a credit union is fairly easy; just search the credit union database to find one which you are eligible for. You'll have to prove your identity and make a small deposit, but once you are a member, you are entitled to apply for a loan. Many credit unions require you to have a steady employment history and will check both your credit score and your debt to income ratio before approving your loan, but because they are non-profit, they usually have lower interest rates and easier eligibility requirements than banks and online lenders. Credit unions typically offer unsecured loans for up to 5 years and secured loans for up to ten years. Credit unions tend to have a high level of customer support and will take much more issues into account than simply your poor credit score. If you have a poor credit score but your partner, parent, or good friend has good credit, you could be eligible for a cosigned loan. With a cosigned loan, the lender essentially takes your combined credit rating into account, thus increasing your credit worthiness from the perception of lenders. Loan providers like LendingClub will accept cosigned loans where one cosigner has a credit score as low as 540. However, it does depend on being able to convince a friend or relative to take on the risk. If you default on the debt, they will have to pay the balance, and the loan repayment history will be added to their own credit score. Personal secured loans require you to put something up as collateral against the loan to underwrite it. This means that instead of your personal credit score serving as proof that you won't default on the loan, the loan is secured by the value of whatever you put up as collateral. The best-known secured loans are home equity loans and auto loans, where your house or your car serves as collateral for your repayments. However, some loan providers, like LendingTree, will advance you loans against your boat, RV, or powersports equipment. You can also use your jewelry and the money you already have in your bank account as collateral for a secured loan. Secured loans tend to have longer repayment periods and lower interest rates than unsecured loans. Borrowing from friends or family members has some obvious advantages. You won't be judged just by your credit score since your friend or relative know your character as well. Someone whom you already know is probably also not likely to charge very high interest and will be more forgiving if you make a late payment. You won't have to pay any bank fees, either. However, if you can’t pay them back or are late with your payments, then you could ruin your relationship. Without a legal contract, you're also at risk of having them change their mind and demand the money back immediately. Even borrowers with bad credit scores can snag a loan, but it could take a bit longer or involve more research than for borrowers with excellent credit. No matter how poor your credit score, you can get a hold of the money you need in an emergency by taking one of these approaches to getting a loan. To learn more about the top personal loans lenders, check out our in-depth reviews.